Dark Ocean is a freeware PC game from a team of independent Spanish developers of the Pompeu Fabra University in Barcelona. 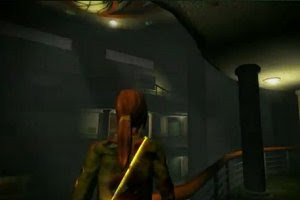 The game is a survival horror set in a luxury cruise where things have gone terribly wrong. Dark Ocean seems to get inspiration from games such as Hydrophobia, Amnesia and even Resident Evil. The player steps in the shoes of Liz, a young engineer who helped design the ship herself, where an infection turned everyone into zombies. Now Liz has to fight for her life, using weapons such as a flare gun to prevent the undead from attacking. Cleverly using the resources at our disposal in the ship will help us defeat the zombies. A camera will help blind the enemies for a short while and earn precious time to act. Dark Ocean is not only about action, it’s also about solving puzzles to access previously locked areas, such as a casino. Technically Dark Ocean stands out as a good 3D indie game, with polished visuals and animation and a convincing atmosphere.